I often mention how lucky I am (and how much I appreciate) to have steady stream of new followers. Many of those are also new bloggers, and the majority of them make the same error, time and again. This is not the first time I have highlighted this, but for the benefit of new people, I will try again. They fail to link their Gravatar profile to their WordPress site, or their own self-hosted site. So when I decide to click on their Gravatar, prior to heading over to their blog to thank them, or to see if I might want to follow them, I almost always find that the most important link is missing. That means I can’t easily click onto their site, and it also means I am unsure if they even have one. So that blogger doesn’t receive my customary thanks, and I am unable to read any posts on their site, or leave comments. Crucially for them, I am also unable to follow, should I wish to do so. I could try Googling the names of the websites shown, but in many cases, I am only seeing the ‘username’, so that won’t work. If you are not sure what a Gravatar is, here is an explanation. You will have one, though you may not know why, or what it is. If you didn’t choose to use a photo or graphic, then WordPress will generate a random pattern or image to accompany your name on comments. 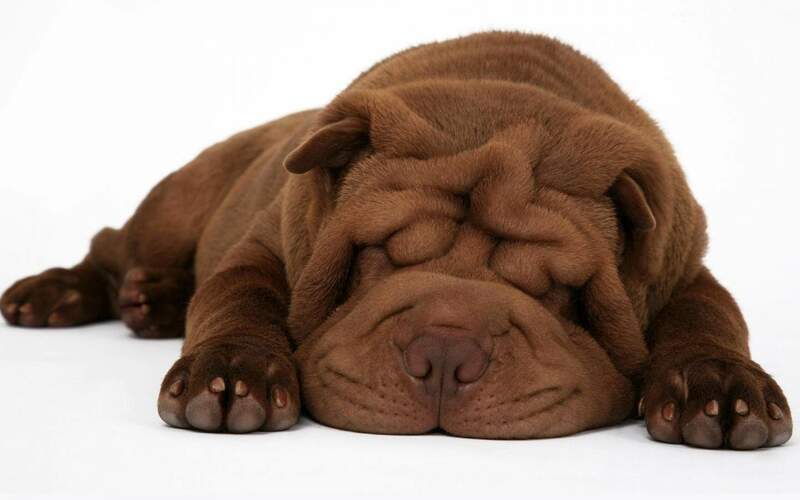 For example, I have a photo of a Sharpei pup, (shown below) as my own choice of Gravatar. I can change this by using any photo, anytime I want, with the size altered on my profile page. Many people use a portrait photo of themselves, or a logo they have designed. It can really say something about you or your blog, if you chose wisely. Once you have decided what to use, or are content to remain with the random image assigned, then the next step is to add a link to your blog or blogs. That will appear under your Gravatar profile, every time someone clicks on it. This is how to add your site or sites. It can’t be that hard, as even I managed it! But nobody really tells you about it at the start, so we can all be forgiven for not knowing. Those are my top tips for getting your site recognised from your Gravatar, every time you leave a comment on another blog, or decide to follow another blogger. If you choose not to bother, then you are reducing your own impact in the community of blogging, and will notice a significant lack of engagement. Best wishes to you all, Pete. A good working link is absolutely necessary. How else you should get contact to a person and their textes? Thanks, Taylor. I had three new followers just today with no link from their Gravatar. I can’t see their blogs, so can’t thank them, like, or comment. Pointless on their part. I often see the same. They are using Gravatar, but don´t understand it. Better telling your account, so you can say “thank you”. This was some great advice!! Thank you! And extra thanks for following my blog, which is much appreciated. Clicking on a photo or image should lead you directly to that site. But so many people fail to link the two, it is sometimes frustrating. I like your gravatar Pete. I’m thinking of changing it. No I’m thinking of going back to The Godfather. I always liked that. Even if I mistook it for ‘Cinema Paradiso’ all those years ago. 🙂 I soon realised my error. I just changed it back. Think it will display soon. Your one sums up your blog and it’s content perfectly. Pingback: Week 5…In my kitchen…I killed my sourdough starter… | Retired? No one told me! I am glad you posted this. I thought it was just my problem trying to link someone’s Gravatar to their blog. It’s because they are not aware they have to do it, I’m sure. 🙂 It was some time before I caught on. Well I keep learning new things from you about Word Press. Thanks. Yikes. I thought it had. I will repair that. Pingback: Week 5…In my Kitchen… | Retired? No one told me! I hope things are going well in Thailand. No snow at least! I had no idea about any of this! I’ll try to sort it out tomorrow. Thanks Pete! Let me know if I can be of more help, Lucy. I hope you are both well, and my best to your Mum, as always. Thank you! Its my WIP since May, 25, and i hope our officials will asap work on an own piece of law. My Gravatar graphic is actually a photo I took of some graffiti painted on a trash can outside the Amargosa Opera House in Death Valley Junction, California. Thank you so much! I’ve blogged for a year now but had never done this… Now my gravatar should send everyone directly to the blog! I just checked, and it does show your site! 🙂 Happy to help, Sam. Many thanks, Felicity. I left a comment. You’re right, Pete. If I figured it out – they sure can!! Thanks, GP. I really hope this helps some bloggers. So many times I’ve tried to find someone’s blog, but they had no connection on their Gravatar. Frustrating. That is a great pic, you must publish some of Ollie as a pup. 🙂 Pete, I have also encountered the same situation. What drives me a bit crazy is this: people deleting their old blog, starting a new one and not updating the relevant information on their Gravatar. And, when I click on their name, I am forwarded to a WordPress message that tells me that their site is no longer available and that the authors have deleted their site. Unfortunately, countless bloggers are taking their Gravatar profile for granted. You make an excellent point, Renard. Just this week, I have had three occasions where the site was already deleted, when I tried to thank a new follower. 🙂 Thank you, Pete. And, keep up the good work, sir! Many thanks for that tip. Despite having blogged for over 4 years, I hadn’t done this. I’ve just done it now, both to my main Blogger site and to my WordPress feed. Hope it makes things easier in the unlikely event that anyone would want to check up on me. I just clicked on your Gravatar, and it works prefectly! I for one would welcome any other accessibility tips you have. Only the other week someone left a comment that I was hard to follow (by which I hope they meant I was hard to link to rather than hard to understand!) so having updated Gravatar should have made it a bit easier. I also have links to Twitter, where people can follow via that platform, just by clicking on the links in the auto-generated tweets. Many of my followers are also email-only followers, as they don’t have blogs or sites. I have the ‘Follow By Email’ widget on the right hand side of this blog, as well as the ‘WordPress Follow’, which links me to the Reader of other WP bloggers. Both were added from the dashboard menu. Scroll down to ‘Appearance’ then over to > Widgets. Choose which ones to apply, and they appear immediately. The follow by email only option has attracted quite a few people who prefer that way to follow. Thanks again. I’ve added the follow by email link. It was hard to find – you first need to click WPAdmin to get the dashboard and, well, with all the toys you find there to play with, it’s better than Christmas. Great advice. I think I’ve got one 🙂 Is that Ollie as a puppy?